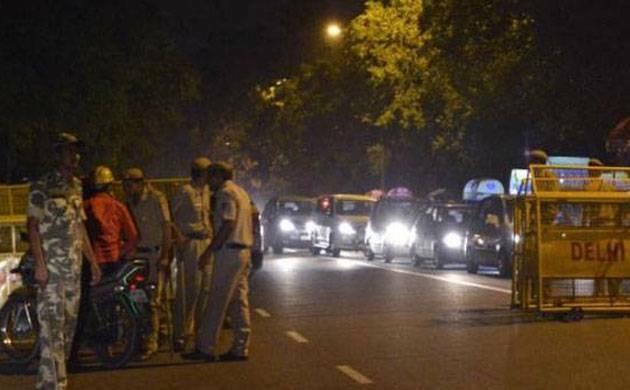 Following intelligence inputs about possible attacks by terror outfits on foreigners in the Hauz Khas Village, the Delhi police has tightened the security. Following intelligence inputs about possible attacks by terror outfits on foreigners in the Hauz Khas Village, the Delhi police has tightened the security. The security has been beefed up in view of recent incidents of terror attacks on foreign tourists in various European countries. There were reports that police had banned ladies’ night at the Hauz Khas Village. But Deputy Commissioner of police (south), Iswar Singh dismissed such reports. “Police have spoken to excise department officials to ensure that only licensed restaurants are operational and also that the liquor would not be served to those aged below 25 years. Apart from this, the traffic police has also been roped in to conduct stringent checks at the exit of the village to curb drink-driving,” Hindustan Times quoted Singh as saying. Restaurateurs, however, alleged that these measures were aimed at harassing them and harming their business. They have alleged that though they were allowed to run their restaurants till 1 am, the police personnel start coming in at 11 pm and pester them to shut down. They even claimed the police were mulling banning ladies’ nights in pubs and bars at HKV, a charge denied by police. As a public awareness measure, several signages are being erected on the road leading up to Hauz Khas, warning and creating awareness against drunken driving, added the officer. A restaurateur, however, said Delhi BJP chief Manoj Tiwari has been apprised of their grievances and he has assured them help. “The police personnel start coming in at 11 o’clock and ask us to shut down. There are no written orders that have been issued in this regard but we have been facing these issues for the last week or so,” a restaurateur, not wishing to be named, said.